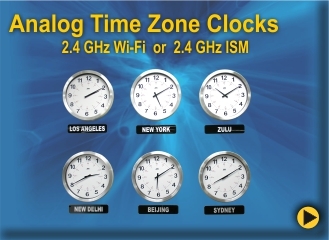 The 200 Style of Time Zone Clocks are either one or two zone clocks housed in a plastic enclosure that provides you with economical benefits vs. our Fixed Zone or Programmable Zone Time Zone Clocks. 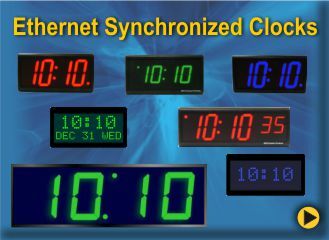 These clocks are less expensive, but still provide you with the accuracy of 1 second over 20 years. 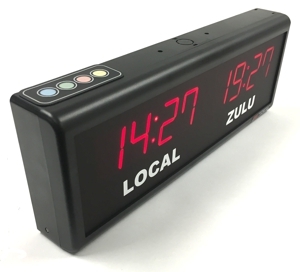 The control buttons are located on the top of the clock for programming changes. There are two eyelets on the back of the clock to hang it on the wall and it comes with an 110VAC to DC power adapter with a US plug. There are knock out plugs on the unit so it can be pole mounted.